* Persons highlighted in blue are board members. ** Not all Mentors are pictured below. 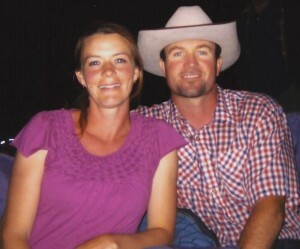 Brent and Amanda are the founders of Breakaway Youth Ranch. See “Our History” for details of how God brought this place into action. They have two wonderful kids named Kylee and Kanon, who are quick to befriend and serve the hurting kids who come out to the ranch. Brent and Amanda love to watch them grow in their riding skills, but are especially blessed by how they have grown to be a part of this ministry through playing with and encouraging other kids. They pray that their kids will use their horse skills to honor God. 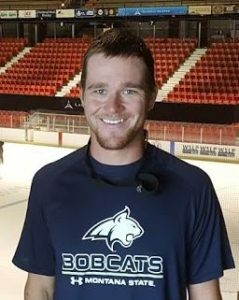 Brent holds a Bachelor of Science in Business Management from Montana State University in Bozeman, MT. Amanda holds a Bachelor of Science in Early Childhood Education from Texas Tech University in Lubbock, TX. Amanda is the President of the board, and has been one of the main mentors at the ranch since it opened in 2012. Brent is the Vice President, and has mentored at BYR since 2012. He loves to work with anyone who wants to learn. Amanda loves all the kids, but feels that she does best with the little ones because they “still think I’m funny!” Brent and Amanda learned to ride in their thirties, after they had gotten married. They have both learned by watching others, reading articles, tips from friends, and by trial and error. Their family enjoys hunting (though Amanda says her favorite part is keeping the fire warm), fishing, riding horses, and playing sports. Brent also likes to snowboard. In addition to being spouses, parents and BYR mentors, Brent owns and operates Milligan Canyon Meats and takes care of the landscaping and grounds at BYR. Amanda does the bookwork for (and works part time in) the meat shop, and looks after the BYR horses. These two love to be serving the Lord! Andy is one of the smiling-est cowboys we have ever met. He grew up riding – doing rodeo, trick & Roman riding with his brother, colt training, and hunting in the Mountains. He and his wife Jennifer and their four kids – Rhett, Jack, Jude and Josie – moved to the Bozeman area in 2006 so Andy could attend Montana Bible College. He now has a Bachelor of Arts Degree in Pastoral Studies from MBC, and is working on his Masters of Biblical Counseling through Faith Bible Seminary. He has been working part time at BYR as a contractor – getting lots of much-needed improvements done. 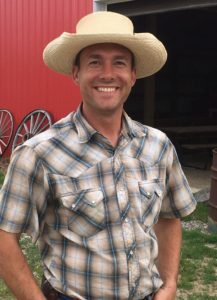 He also shoes horses (that’s how he first got involved at the ranch), trains horses, and works part time as the Children’s Pastor at Grace Bible Church in Bozeman. Andy has been a volunteer mentor since 2016 and is currently working with our Thursday night Mustangs program for young men (see “The Programs” page). When Andy isn’t working or volunteering he enjoys spending time with his family. He also enjoys spending time with fellow believers, being outdoors, and doing things with horses. Barbara has been a mentor at BYR since 2014. She heard about BYR through a prayer group that she attended with Jenny, and thought it might be a good way to put together her love for horses and her heart to counsel others in need. She has really enjoyed working with the kids and horses and has loved the opportunities she’s had to share truth with the kids! She learned to ride when she was in high school, and bought her first horse when she was 21. She rode English in the beginning, but has spent most of her time in a Western saddle. She doesn’t care too much which style she rides, what she really enjoys is the relationships that can develop between horse and rider. She also enjoys how much she learns about herself and God as she works with horses. While she is happy to work with any child who is here, she especially likes to work with the teenagers that come out. She has a Bachelor of Science degree in Horticulture from Virginia Tech in Blacksburg, VA. She is also working on becoming a nationally certified counselor through the Association of Certified Biblical Counselors. She enjoys horses (especially her own), hiking, crocheting, knitting, logic games, learning Hebrew, and music. In addition to working as a mentor at BYR she teaches violin and volunteers in her church’s library. Bob and Ileen have both been mentors since the summer of 2016. They drive all the way from Sheridan, MT a couple times a month so that more kids can come be helped by the ranch. Bob holds a Master of Science degree in Wildlife Management, and is currently working on a Master of Arts degree in Ministry Studies. Ileen holds a Bachelor of Science degree in Elementary Education with a minor in Special Education. Ileen has worked for over 20 years as a teacher. 15 of those years have been in Special Education classrooms. Bob worked for Montana Fish, Wildlife and Parks for several years. During that time he and Ileen both gained extensive horse knowledge as they enjoyed taking advantage of the opportunity to ride horses on day trips and pack trips in surrounding mountain ranges and wilderness areas. A few years after retiring from Wildlife Management work, Bob became the Associate Pastor at Grace Bible Church in Dillon, MT. They both decided to volunteer at BYR after hearing stories of its effectiveness from an Altacare counselor in their congregation, and after hearing a presentation that Amanda and Jenny gave at their church. They both enjoy working with any age, and are simply glad that they can be involved in making a difference in the lives of kids – whoever, and however old. Bob and Ileen have raised two wonderful sons who are now raising their own families. Bob and Ileen enjoy the two grandkids they currently have, and enjoy spending as much time with them as possible. 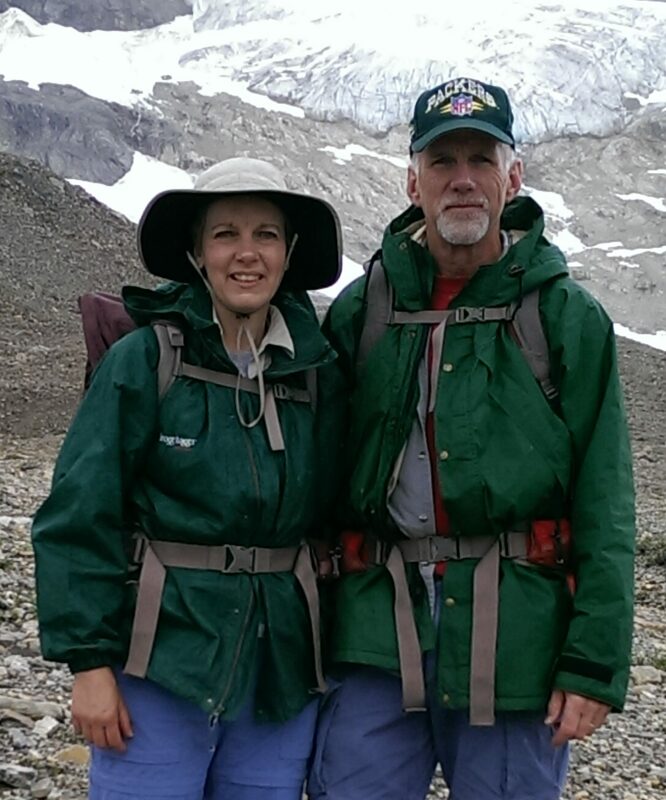 When Bob and Ileen aren’t working, serving their community, or visiting grandkids they both enjoy hiking, hunting, skiing, snowshoeing, gardening and traveling. Ileen also enjoys cross-stitching. 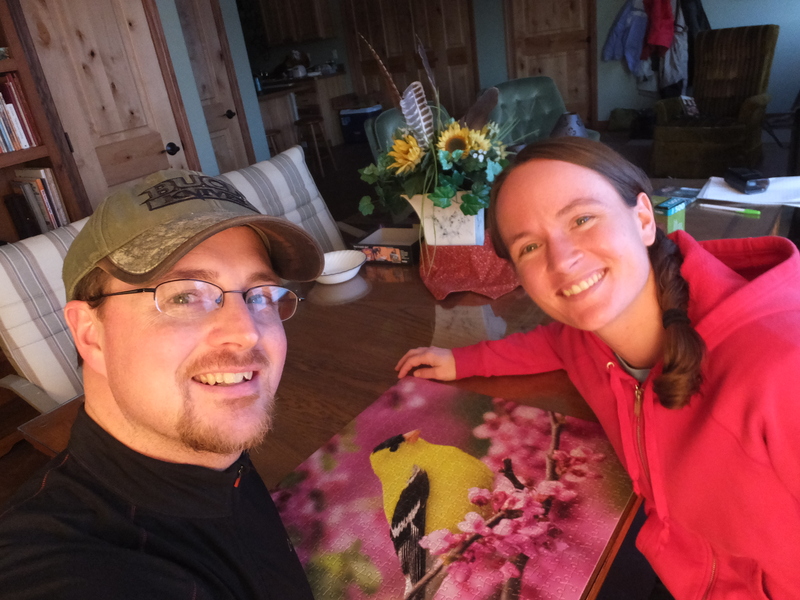 David and Becky moved to Three Forks in 2015 and “happened” to drive past the ranch as they were looking for a place to live. It was then Becky first thought “that [Breakaway Youth Ranch] was something [she]wanted to be a part of.” Later that year she got to know Amanda through church and a local preschool, and Amanda invited her out. However, it wasn’t until the middle of summer 2016 that things lined up for Becky to be able to volunteer with her two beautiful daughters Irene and Bella. It “just so happened” that at the same time we suddenly found ourselves short-handed in our MINT program. We were in need of a teacher – and that’s just what the Lord brought driving in our driveway. She has a Bachelor of Science in Special Education and Elementary Education which she received from Misericordia University in Dallas, PA and has experience teaching and counseling in a school setting. Far more importantly, Becky’s understanding of God and His word is solid and thoughtful and her ability to communicate is engaging and thought-provoking – just what our MINT girls need. One year after Becky joined our crew, her husband David asked if he could come and Mentor at the ranch as well. He had been hesitant to offer his help since he had very little horse experience and not a lot of time to offer, but he was encouraged by the stories he heard and by changes he saw in his own kids as they tagged along to the ranch with Becky. He decided he wanted to be a part of it all. We welcomed his help and put him to work with the Thursday night Mustangs – specifically with the ones who weren’t too interested in working with horses. He was a tremendous help in that capacity, but he also spent as much time as he could learning horsemanship so he could expand his area of usefulness. Becky’s education was geared toward younger kids, but she finds that God keeps directing her to work with teens. She is currently in charge of our JR MINT program and is at the ranch three days out of the week. David, who has a Bachelor of Science in Business Administration, and who works full time as a credit analyst at American Bank, continues to volunteer Thursday nights with the Mustangs. He enjoys teaching them character qualities and working beside them. When David isn’t working or volunteering at the ranch he enjoys being with his family, coaching his daughter’s U-10 Softball team, hunting, fishing, and hiking. 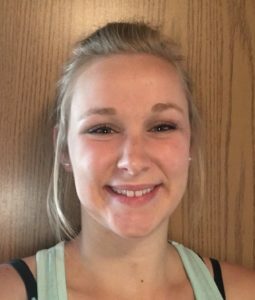 Becky enjoys being a stay-at-home mom, coaching U-8 Softball, volunteering at Three Forks Elementary, hunting, playing softball and field hockey, hiking, and biking. Jenny was hired as the Program Director at BYR in 2014 but was involved from the very beginning as a volunteer in various capacities. During the summers she was one of the first volunteer mentors. 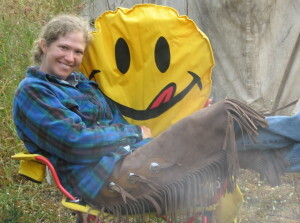 In the off seasons she spent a lot of time developing the current Mentor levels, the MINT program, the BYR manual, and the policies and procedures for various aspects of the ranch. For more details on how Jenny got involved with BYR, see “Our History.” She holds an Associate degree in English and Writing from Northwestern Michigan College in Traverse City, MI, a Bachelor of Arts in Biblical Counseling from Montana Bible College in Bozeman, MT, a Level 3 Teaching certificate from Meredith Manor International Equestrian Center in Waverly, WV and has some counseling experience with conflict resolution, self-harm behavior, suicidal thoughts, traumatic loss, and a few other things. Jenny has been riding since she was 14 years old, and even though she loves to work with beginner riders of any age, she has a special place in her heart for teens. She has had a desire to work in this type of ministry since she herself was a teenager and experienced being part of a similar one in Michigan. 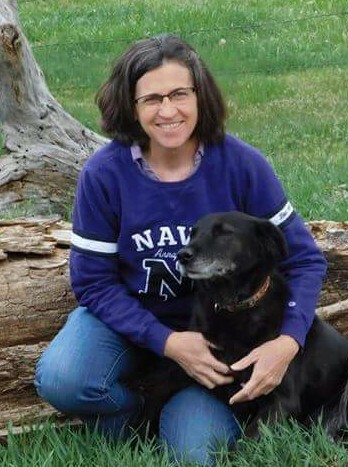 When Jenny isn’t working at the ranch, she enjoys car camping, contra-dancing, reading, renting forest service cabins (and staying in them), playing the accordion and piano, biking, playing board games and hosting others in her home. Katie is one of our first Mentor IN Training (MINT) program graduates. She has been coming to the ranch with her younger sister since the summer of 2015, and has participated in our various MINT levels (patiently going with the flow as we continued to change and develop the program). Last year she really enjoyed helping our Kiddie Corral mentor with the little kiddos that come to the ranch. She enjoyed it so much that she is now volunteering to be one of the Kiddie Corral mentors! The summer of 2018 will be her first year as a mentor. When she isn’t volunteering at BYR she enjoys being a home-maker, crocheting, camping, and dirt-biking with her husband Daniel. Natalie has been a mentor since the summer of 2016. She heard about the ranch while working as a vet-tech at Chuteside Veterinary in Three Forks, MT. BYR brought several horses in for various needs during her time of employment. Through chatting with Amanda about the work BYR did for local youth, she decided she wanted to be a part of it. She is currently working with the MINTS. 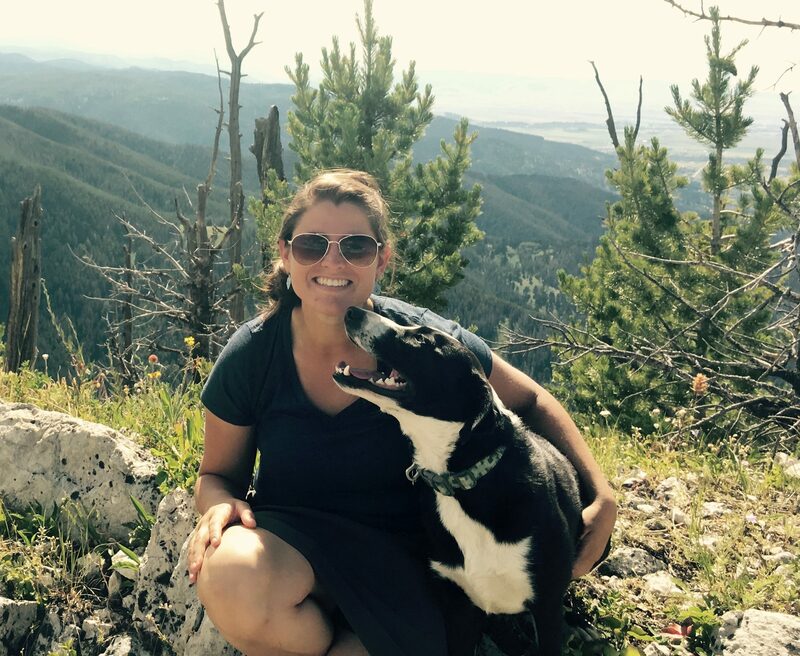 Natalie holds a Bachelor of Science in Animal Science: Livestock Management and Industry from Montana State University. She worked as a vet-tech for a couple of years before deciding she wanted to go back to school for a nursing degree – which she is currently working on at Montana State. She is a certified EMT, and has also been certified as an EAGALA counselor (a therapeutic counseling method that utilizes horses). Natalie’s love of horses, and involvement with them, dates back to her childhood. She got her first horse when she was 12 years old, had professional training as a barrel racer and roper during her high school years and competed through her first few years of college. During her season of competition she was named Rodeo Queen for two consecutive years – first as a senior in high school, and again during her freshman year of college. She currently owns three horses of her own. When she isn’t working, doing homework, volunteering at the ranch, or involved in various church activities, Natalie loves riding horses (one of her dreams is to ride horses from Canada to Mexico), hiking with friends and her dog Vanna, baking, sewing / craft projects, dancing, and just about anything that gives her an excuse to be outside. This tall, fun loving college senior first joined us in 2017 as an intern from Montana Bible College where he is working on a Biblical Counseling degree. 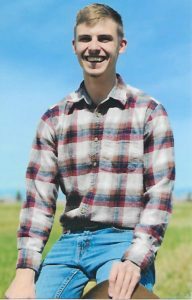 Part of his desire to obtain a counseling degree was born when he periodically worked as a camp counselor for three years at a camp near Glacier. He says of this time that it “was truly a blessing to help kids as they [were] in the camp. [During] those times . . . the desire to help people grew more and more.” Nick has been co-leading the BYR youth group that meets in Three Forks for the last year. It was while he was serving there that he became interested in the Youth Ranch as a possible internship opportunity. He will continue working with the youth group, and will be back this year as a mentor in our general sessions and with the Mustangs program for young men. His horse experience began in his childhood when his grandfather took him on rides near Glacier National Park. Nick enjoys playing sports – anything from basketball to Frisbee golf. He also enjoys hiking and hunting elk (especially when the two go together). Nick grew up in Kalispell with a family whose motto was “Love God, love each other, and take silly photos.” (Or something like that.) When Nick isn’t studying for school, serving other people, or having fun with friends, he works for Hungry Goat Lawn Care in Bozeman. Nolan has been on the board since 2010, and is currently our treasurer. He got involved because Brent and Amanda asked him and because he “thought it might be a good idea,” a way for him to serve the Lord in his own neighborhood. 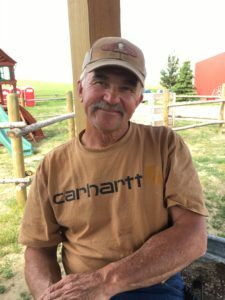 He has a Fish and Wildlife Management degree from MSU and did work for the Park Service from the fall of ’69 to the summer of ’75 when he and his wife Sandy moved their family to Cardwell, MT to start a cow business. He was born on a ranch and has ridden horses since he was 5 years old. He and Sandy ranched their own place (next to where he grew up) from 1980 to 2007 when his wife Sandy passed away. Nolan still owns the place, but has decided to retire from having his own cows. Instead he rents the pasture to other ranchers. He also decided to donate 10 acres of land to Breakaway Youth Ranch! He is BYR’s closest next-door neighbor. Nolan likes to drop in to say “hi” to the kids when he’s driving by on his four-wheeler to check his fence or his renter’s cows or out spraying weeds in the pasture. He enjoys going for horseback rides in the hills with friends. 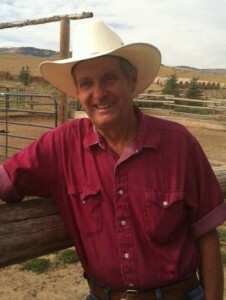 He also enjoys playing his steel guitar and will occasionally come play tunes with some folks at the ranch. Ryan and Andrea have been on the board from the very beginning in 2010. Ryan has a Bachelor of Arts in Biblical Studies with a Pastoral Emphasis from Montana Bible College and a Master of Arts in Biblical and Theological Studies from Western Seminary in Portland, Oregon. Ryan and Andrea served in pastoral ministry for 8 years before Ryan was hired full time at Montana Bible College – where he is now president. In addition to Ryan teaching several Bible Exposition classes, Homiletics, and Peacemaking, among other things, Ryan and Andrea co-teach the Family Development class. 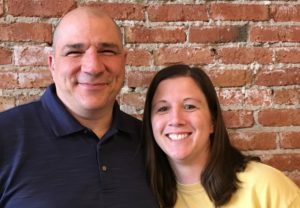 They both have several years of experience counseling teenagers, couples (both pre-marital, and marital), and they have worked with victims of sexual and physical abuse. Ryan also has experience mediating conflicts. Because they know very little about horses, they are content to be on the board and available for intensive counseling outside of BYR. They joined the board of Breakaway Youth Ranch because they love to watch God grow small ministries. Their family (they have two kids, Gracie and Caleb) enjoys Hunting, hiking, cooking, sewing, poetry, piano and basketball. Have fun guessing who likes what! Scott loves to be outside enjoying God’s creation — whether he is hunting, biking, rafting, running, spending time with friends, working, or serving others. He has spent some time around horses — helping friends train and work them. Consequently, when he heard about BYR from one of our Mentors, he thought it sounded like an interesting place to serve. Scott has previously worked with teens through a program called Younglife, and works with our Thursday night Mustangs program as Mentor, Bible teacher and friend. Scott holds a Bachelor degree in Construction Engineering Technology from Montana State University, Bozeman. He is currently employed by Langlas and Associates as a project engineer. Scott is also involved with his church and has enjoyed occasional opportunities to lead small group Bible studies. Stephenie heard about BYR through her sister Becky and through her church in Three Forks. She and her husband Scott began sending their daughter Anna to the MINT program in 2017. Their other children, Scott Jr. and Lydia have come out for occasional sessions, and she and her husband have made it to a few of our fall and spring events. In the spring of 2018 we were again looking for more help with our MINT program and Stephenie offered her assistance “wherever [we] needed” her. She has very little experience with horses, but lots of experience teaching – in a school setting (grades K, 2, 4, and 6), at camp, in homeschool co-op classes, and in various Sunday Schools and Bible studies. She is assisting Jenny with the Senior MINT program, and will be learning horsemanship alongside the girls. She finds teenagers’ courage and zest for life inspiring, and is looking forward to working with them. 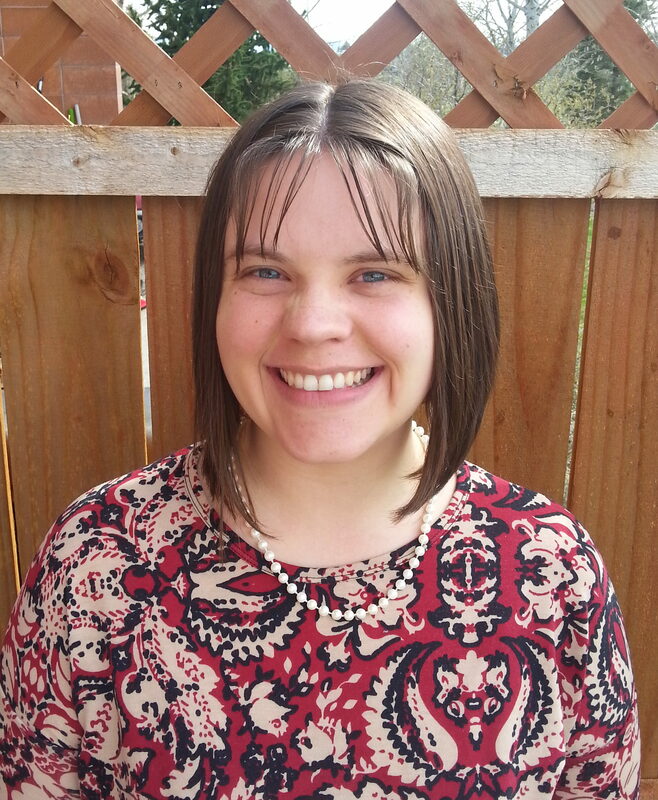 Stephenie holds a Bachelor of Science in Early Childhood & Elementary Education from Marywood University in Scranton, PA. She has experience being Therapeutic Staff Support in a school setting with kids who have special needs. 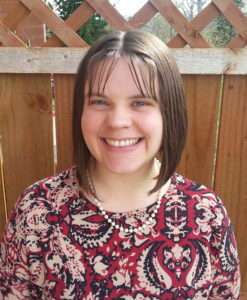 Recently she has been learning about Biblical Counseling through attending seminars at Grace Bible Church in Bozeman. 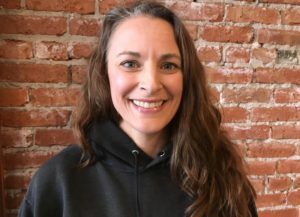 When Stephenie isn’t homeschooling her kids, or volunteering various places, or learning new things, she loves being outside – especially if she is hiking, biking or gardening. Tim has been mentoring at the ranch since 2016. His expertise as a horseman has been a tremendous asset to our Thursday evening Mustangs program. He, along with Mary (his wife of 37 years! 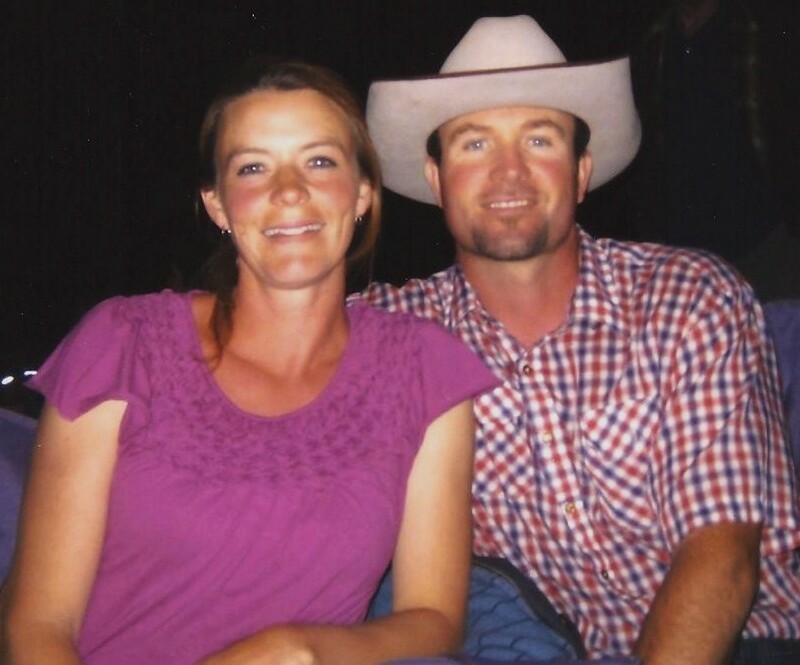 ), their two children Amber and Cody, and their son-in-law Josh, breed and raise quarter horses for barrel racing. Because of their passion for this sport, every year in August they put on a barrel race called Race to the Finish Line (where they invited BYR to have a silent auction fundraiser in exchange for arena help). Tim also works part-time at the Golden Sunlight Mine (after retiring from full-time work in 2016). Prior to working at the mine Tim served in the U.S. Army. He also claims to have “graduated with honors from the school of hard knocks.” Here at BYR Tim enjoys working with our Thursday night Mustang guys – and is glad to be somewhere he can put his prayers for God to be glorified in him, and his love of kids and horses together. When Tim isn’t at BYR, or working hard, he enjoys hunting and riding horses.